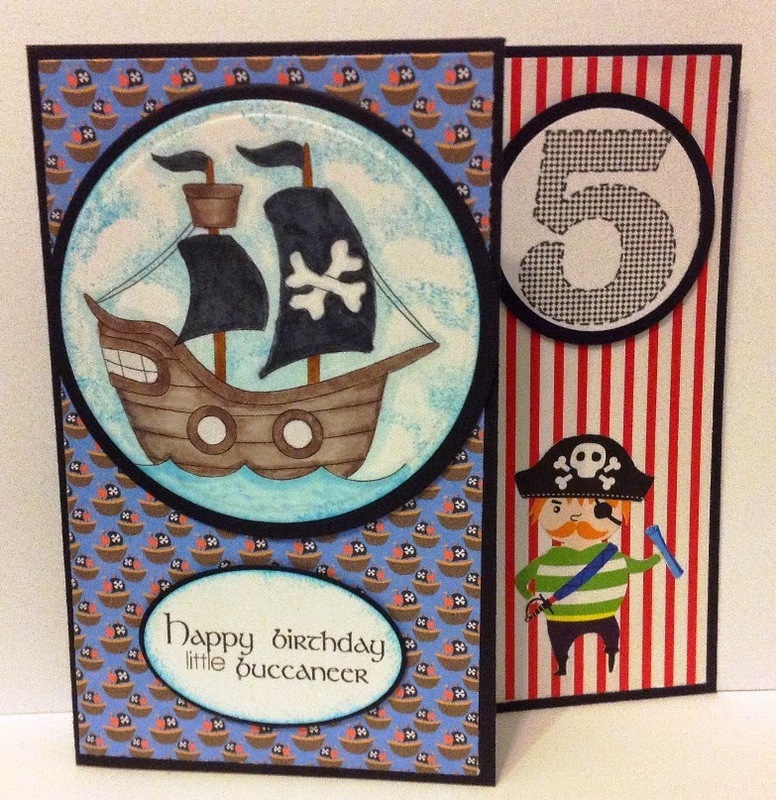 We are celebrating FIVE wonderful years providing challenges for paper artists! I thought on this milestone birthday - I would like to do something a little different and celebrate the people behind the curtain! 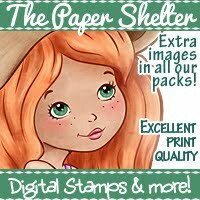 I am talking about the wonderful sponsors who provide us with images and prizes, the 10 very creative artists who generously give us their time and effort every week to provide inspiration and tutorials, and finally, the three Senior DT who contribute the weekly, behind the scenes efforts to keep this blog running! Have you ever thought about the fact that all of these people are not on a payroll - they voluntarily provide these services out of their love of the paper arts. Yes, there are benefits for all concerned, a free image to play with or free exposure for the sponsor's brand or product, but the constant endeavor put into a Challenge Blog like this one is fed by the love of our craft! Here's to YOU Team! Amy, Ann, Mandy and Marie! to keep on keepin' on! Thank you for coming to our party! 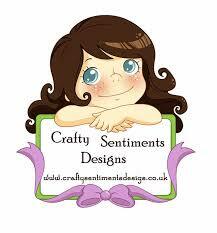 Since we require a sentiment on your project, Ginny H from our Design Team is providing a sentiment every week for you! 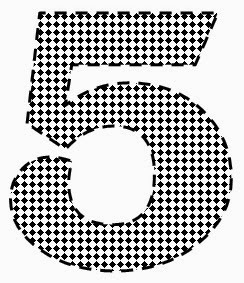 This week Ginny is providing you with a big handsome 5 so you can use it in the challenge if you want! You are welcome to copy and paste any or all of the sentiments for your personal use, or use it as inspiration for your design. 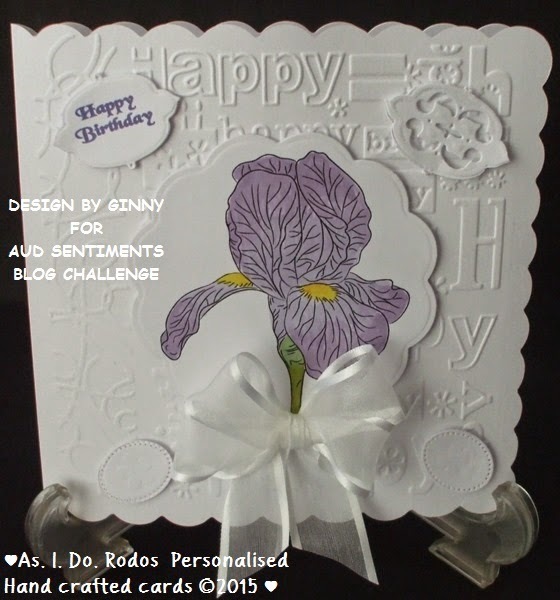 If you use Ginny's sentiment, she would love it if you leave her a comment, either here or on her website As.I.Do.Rodos. 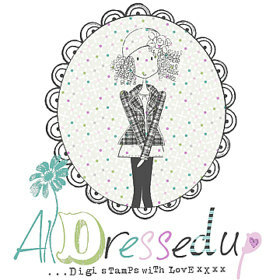 The Stamping Boutique and Doodle Pantry! These two great companies are pairing up with us to sponsor this challenge. They are also each generously offering a prize for the winners of this challenge!! If you see an image you like or if you want to shop around in their catalog of images, you can click on their name to go directly to their shop. Thank you to you both! And finally, let's see what our Aud Sentiment Designers have created! If you want more details on the project, or want to see more of their work - their blog names are linked for your convenience. To keep you motivated, our 2nd team will provide even more inspiration at the mid week post next Thursday! 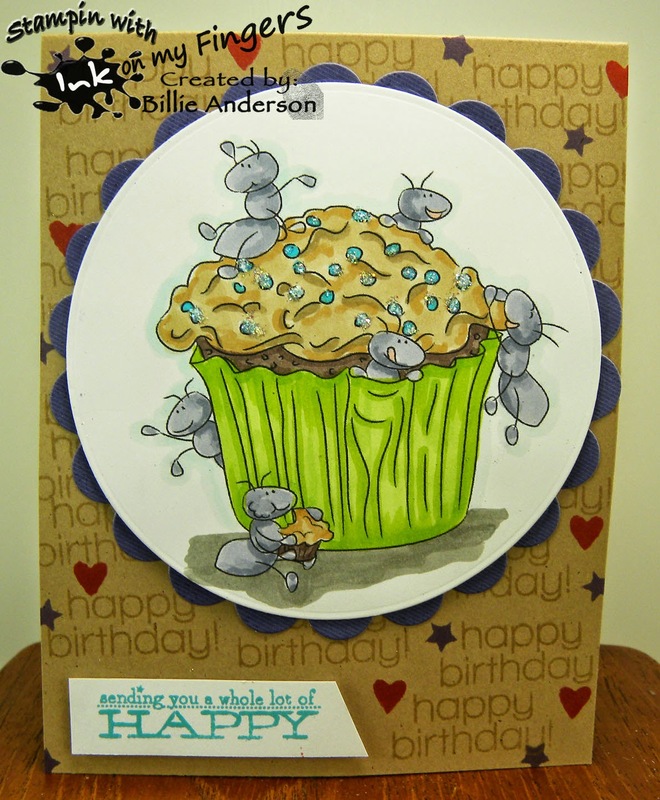 using The Stamping Boutique's "The Magic of Pretend"
using Doodle Pantry's "Piratey Ship"
using Doodle Pantry's "Cupcake Ants"
Using Doodle Pantry's " Iris"
using The Stamping Boutique's "Pocket Patootie Monkey"
1) As you might guess from our name - we require a SENTIMENT! 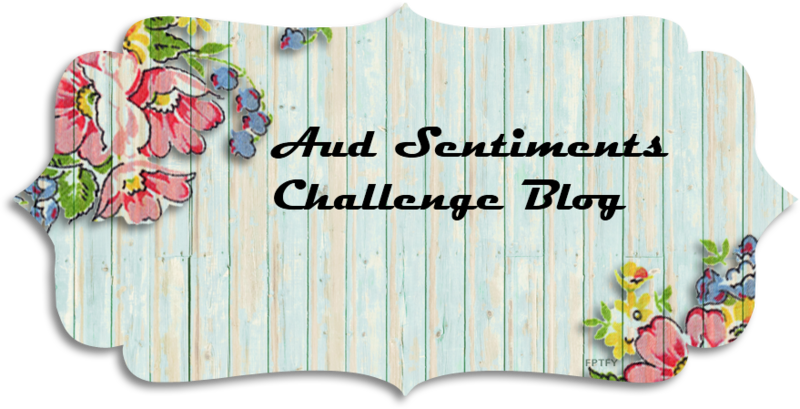 Your sentiment needs to be appropriate for the theme/challenge. That's it. You are not required to use anything specific, just the sentiment. 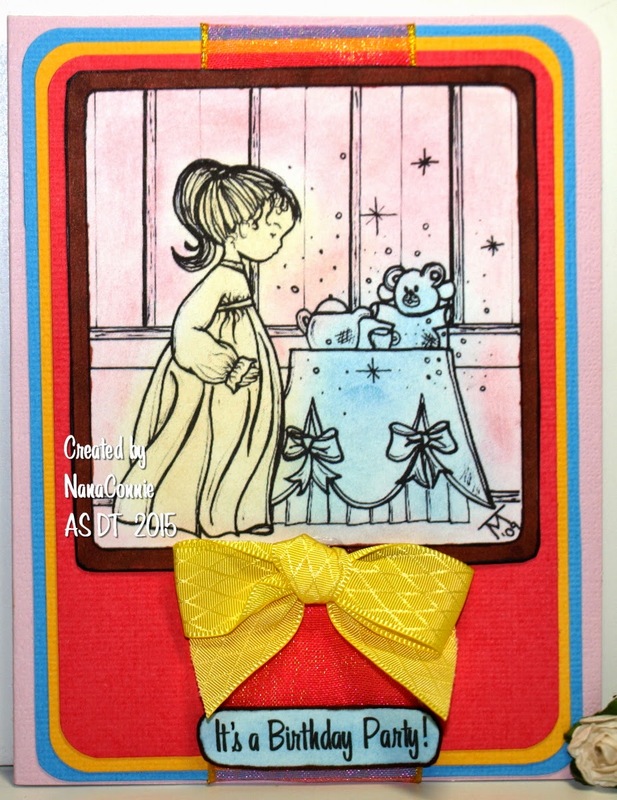 If you make a card and put the sentiment on the inside instead of the front, you need to include a picture [in your blog post] that shows us the sentiment. 2) You may submit up to 5 projects and enter as many other challenges as you like. 3)Other details regarding our challenges can be found by going to the tab titled "Challenge Rules" at the top of the page.
" 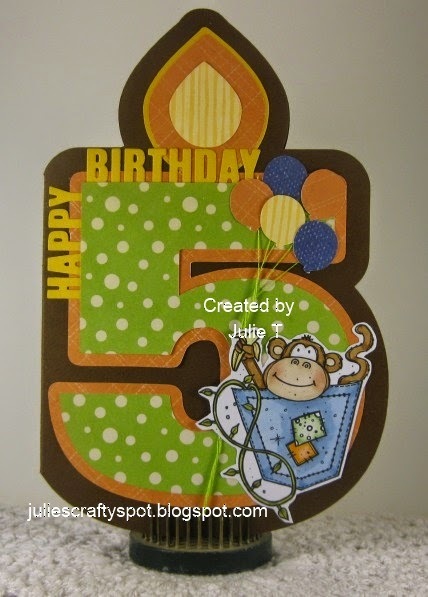 Use a Birthday Sentiment or the Number 5 + Sentiment"
happy, happy, happy birthday from all of us at THE STAMPING BOUTIQUE! we are delighted to be a part of your celebration!!!! It is a joy to work with you all - thanks for all your time and effort Team! Happy Birthday! 5 years = a lot of work! Thanks! Happy Happy Birthday to yall!!!! Thanks for the fun challenge to play in here!! 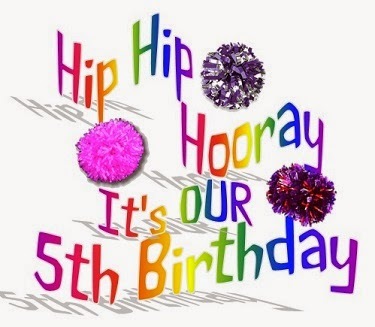 Happy 5th birthday!! These creations are incredible. Love this work! My son also turned 5 years old last week. My husband reserved the best kid’s party halls in Bay area for the celebration party. It was a fun party.